The statistics in favour of social media for marketing and new business are overwhelming. According to Hubspot, 92% of marketers in 2014 claimed that social media marketing was important for their business, with 80% indicating their efforts increased traffic to their websites. And yet, according to Social Media Examiner, 85% of social media users aren’t actually sure what they’re doing, which can not only be ineffective, but actually damaging. Fortunately, the Outsourcery team is pretty savvy when it comes to social media platforms and can handle it all for you, saving you time and drastically improving your company’s online presence. My company isn’t on social media, can my assistant help set up our accounts? Of course, you can ask your assistant to set up all of your company’s accounts (Twitter, Facebook, Pinterest, Instagram etc). They will make sure there’s consistency across all of the platforms to make it easy for users to recognise your company’s presence, using the company’s signature colour schemes and logos. They will discuss options with you for the type of content you’d like to be posted so you can get started immediately or if you’d prefer for the content generation to be handled internally, that’s no problem either, your assistant can do all the background work, set up the account, users and passwords then hand it over to your in-house team to take over. If you’d like personal accounts to be set up, those can also be managed by your personal assistant. Make sure you tell your PA what the intended purpose of a particular platform is and they will create it accordingly, with the best settings selected to suit your requirements. 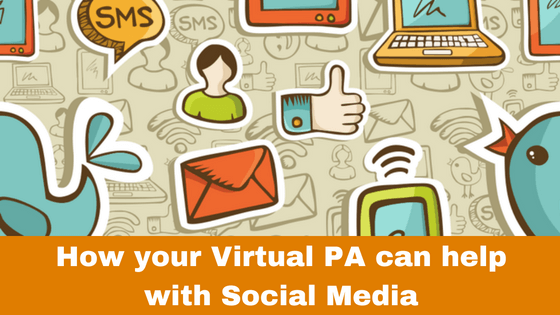 If you’re not sure where to begin, your PA can provide you with examples to give you ideas. If you jumped on the social media trend, but then found you didn’t have the time to commit to daily or hourly posts and tweets, you can hand over your login details for your assistant to take over. Discuss the type of content you’d think would be most appropriate whether its for you personally or for your company, and your personal assistant can start scheduling content and beautiful imagery to boost your online exposure. Ask your assistant to introduce you to Outsourcery’s sister company Deeply Social, who are based in the same Cape Town office as your assistant (sitting right behind them in fact), but specialise in and focus their time entirely on social media management. The team can offer a variety of packages depending on what you’re looking for and will supply a detailed and effective cross-channel strategy to help you grow and cultivate an online audience. They are clued up on all the latest digital marketing tools and software and love to innovate and experiment, making sure you stand out from the crowd. They know all the niftiest tricks and can help you utilise what you already have to maximise its potential, for example, an interview recording can be transcribed and posted as a blog in its entirety, used as a source for pull quotes to enrich other content or cut to function as an audio snippet. The team can open your eyes to endless possibilities to take your social media from being something tedious and mundane to something that people really want to read and respond to. Like your Outsourcery personal assistant, the Deeply Social team is dedicated to making your life easier and guarantee an increase in followers and online engagement across all of your platforms. They produce smart, well written, SEO optimised content to target your particular audience and showcase your brand via blogs, email campaigns, tweets. Better still, all Outsourcery clients receive a free social media audit from Deeply Social, worth over 395GBP, which shows you how well your social media is currently performing against competitors and how you can make it better. Your PA can manage the process and organise regular calls so that you’re kept fully informed on the progress. If you’re looking to take your online presence to the next level, these are the guys to come to.